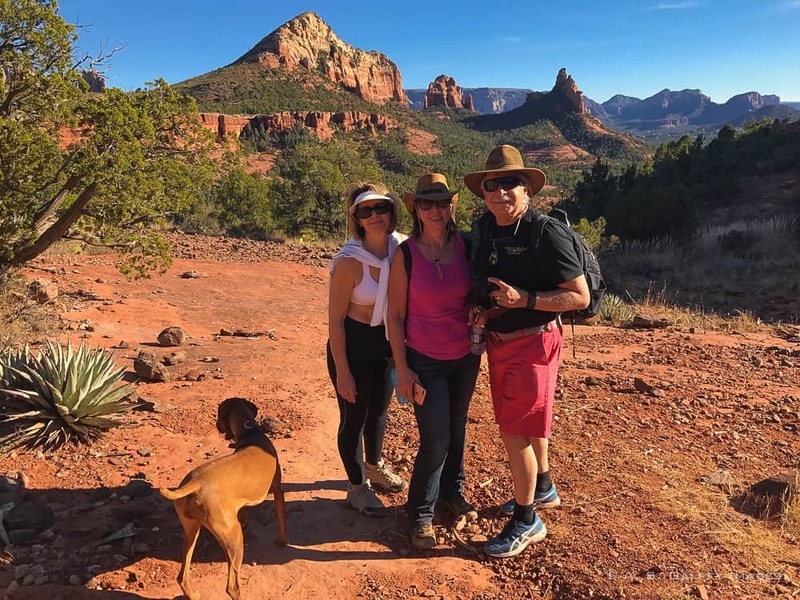 If you like red cliffs, blue skies and a little challenge there is no better place to experience it than hiking Brins Mesa Trail in Sedona. I love the the American Southwest and its fire-red cliffs. These multi-hued rock formations carved by waters, sands and winds keep luring me back to Arizona year after year. But nowhere are they more magnificent than in the small community of Sedona, just 30 miles south of Flagstaff. The area is famous for its jaw dropping scenery and iconic hiking trails. 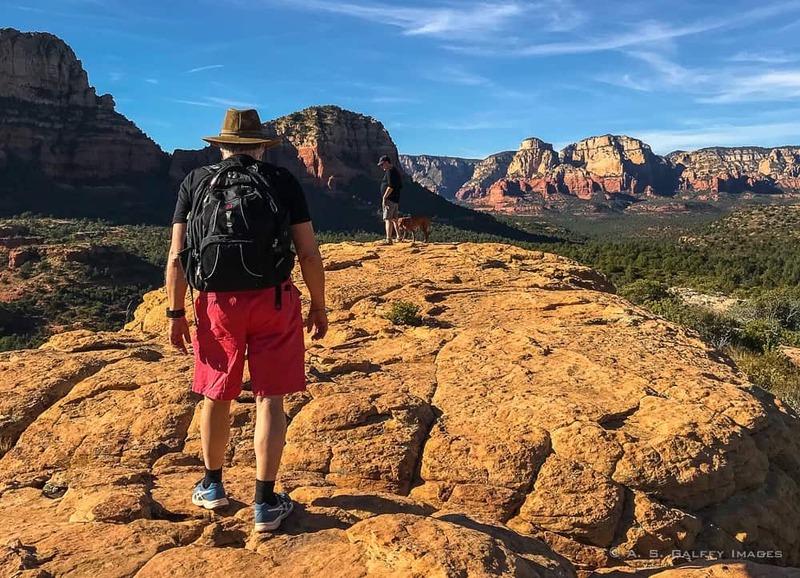 No matter the season or your level of expertise, you’ll always find a great hike in Sedona. The two closest trails to the town center are Brins Mesa Trail and Soldier Pass, which together form a 5.5 mile loop. The hike can start either way, but we started our hike on the Brins Mesa trail. The trail begins right at the edge of the town of Sedona and is as picturesque as it is convenient. The first section of the road climbs up to an elevation of 600 feet. There are lots of stair and stepping rocks, so attempting this hike when the temperatures are high may be difficult. At the top of Brins Mesa the two trails merge and the road down continues on Soldier Pass Trailhead. Because you don’t have water around, hiking Brins Mesa is not as scenic as hiking Havasu Falls trail, or the Red Rock Crossing, but it’s equally impressive. On the Brins Mesa trail you can enjoy unobstructed views of the spectacular red rock formations for which this area is so famous. If you bring a map, you can identify the Coffee Pot Rock, Chimney Rock and more. There are plenty of great views over the town and the hills of the Red Rock Secret Mountain Wilderness. Soldiers Pass Trail is a moderate hike down, although very dusty. The trail rolls through a number of arroyos and past the Devil’s Kitchen – Arizona’s largest sinkhole. The hole was formed by a series of catastrophic geological events and continues to grow over time. Arizona Geological Survey considers the area unstable and hazardous, so the sinkhole is not safe to explore beyond the trail. However, there are a few spots from where you can get a good lock inside the hole. Directions from Flagstaff: drive 27 miles south on US 89A to Sedona and turn west (right) on Jordan road. Follow it about a mile to the trailhead. Or continue through Sedona to Dry Creek Road, turn north about a mile to Vultee Arch Road (FR 152) and north about 2.5 miles to the Soldier’s Pass trailhead. It’s a mile and half hike to the Brins Mesa Trail intersection. The last 1/4 mile of Jordan Road and all 3 miles of FR 152 can be a bit rough. Directions from Phoenix: go north on I17 to exit 298 for Sedona/Oak Creek. Turn left (west) onto SR179 and continue to the traffic circle intersection at SR89A. Veer left through the circle heading toward Cottonwood on SR89A. Between milepost 372 and 373, turn right onto Soldier Pass Road, drive 1.5 miles to Rim Shadows, turn right and continue 0.25 mile to the short drive to the trailhead on the left. Being an outdoor person myself, I loved reading this article. I always try to explore the nature as well, when am headed to a new place, by going on short hikes in to the wilderness. 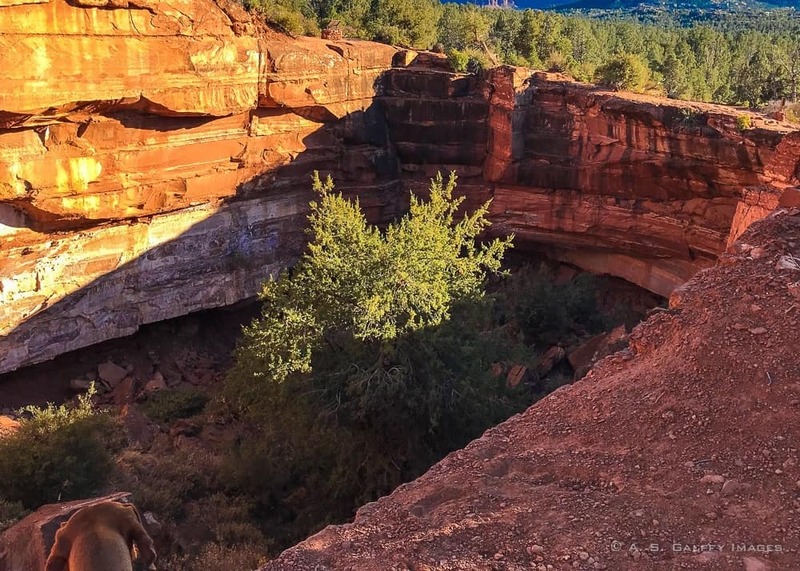 While the Brins Mesa Trail looks more on the dusty side, something which is new for me, I would still love to hike and experience the adrenaline rush. I must say I had not heard much about it or ever thought if visiting this part of the wirjd but thanks to pists like yours shows us new destinations. I woukd love to hike Brins Mesa Trail in Sedona but I guess with 2 little kids might be a challenge so will wait for the to grow up a bit. The scenery is absolutely stunning with the colours of the landscape against the blue skies. I must say it’s not the easiest but pays for the hard work and visuals are rewarding. Thanks for sharing. The Brins Mesa Trail hiking trails in Sedona looks really incredible. I love such trails which have such eye catching and unique surroundings. Your pictures have really fascinated me towards this hike trail in Sedona and I can't wait to plan a hiking trip there soon. I haven’t been in Arizona. I really want to try the Brins Mesa Trail. I would love to walk and explore the area. It’s going to be a sweaty one though. I guess I should start training to trek now. I enjoy reading your stories Anda on your hikes. I have always wanted to visit Sedona and hike some of the trails. Your photos are amazing! Can you get a map online or is there a visitors centre where you can purchase them? Thanks for the information. There is a visitor center in Sedona where you will get a lot of free information. Mesa trail looks so amazing. I see some similarity with the landscape of the Grand canyon too. Thanks for all the details of the route and spots to look out for. will be very useful when we go there. Hope you'll get to hike this trail, Sinjana. Sedona is really beautiful. I agree, the scenery is jawdropping indeed! The photo with the complete view of the red-cliff mountains has intrigued me much. I am sure the little challenge was worth for that picture-perfect view of red cliffs against blue sky. Sedona has such spectacular hiking spots. It has been far too many years since I hiked Brins Mesa trail and the surrounding areas. I may be due for another visit. What inspiring photos! I've never been to Sedona, but I have wanted to visit for a long time. It looks like a great place for a hike among the beauty of nature. Thank you, Sharon. Hope you'll get to visit Sedona someday. It's quite beautiful. The hike looks fun and scenic (as long as it is not on a scorching hot day!). I don't think I have been to Sedona, but I have seen a Chimney Rock so it threw me, but I think it was another one ;-) I have spent a little time in Arizona, but would love the opportunity to spend more time there in the future as there are so many beautiful spots! Arizona is a good place to "warm up" after spending some time in Edinburgh, Jessica. 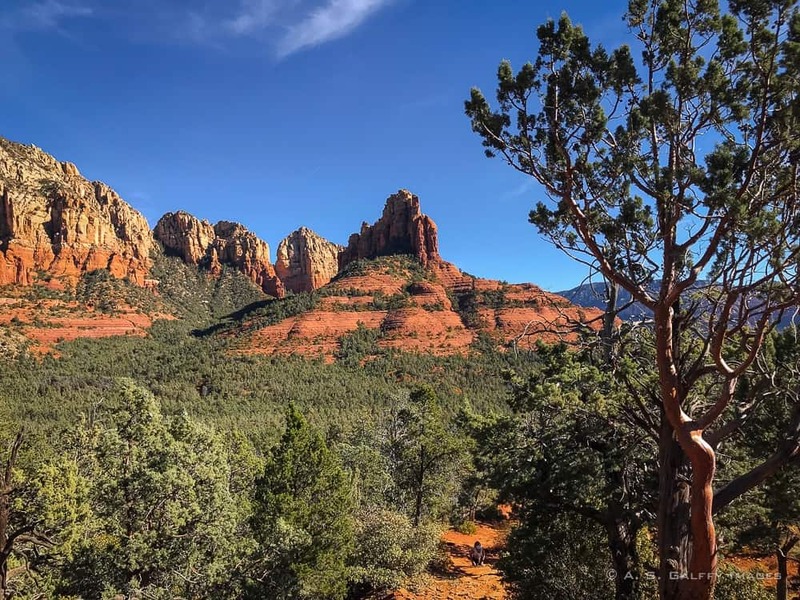 My first visit to Sedona was about getting to know the area so, we focused on seeing the main spots and didn't do a lot of hiking (plus, the trip was taken after a very sad event). I would like to go back and walk the trails. Plus, I will like to rent a jeep for a day and ride to the most gorgeous spots. Renting a jeep sounds like a lot of fun, Ruth. You definitely should go back to Sedona for some hiking. This hiking trail is gorgeous - the US have the best hiking trails! We have been to Sedona more than once but never done any hiking in the area - something for our next trip I think. The red rock reminds me of the Kimberley region in Western Australia which also has rocks and gorges in stunning reds. I have always loved the red cliffs of the Southwest also. This looks like a good hike to do amongst those red cliffs. I love the photo from ground level - with the man and his dog - which gives you an all over view of the cliffs. Wow! That's our dog, Jill. I agree, the view from up there was spectacular. I am not aware about the Big 5 in Utah, Rhonda. I should check that. Bryce Canyon is another place that I'd love to return too. Also a photographer's dream. That landscape looks spectacular. On my list for my next US trip! Thank you for hosting the linkup this week!